It'll be a bit yet before we see what the Xbox One and PlayStation 4 are truly capable of. 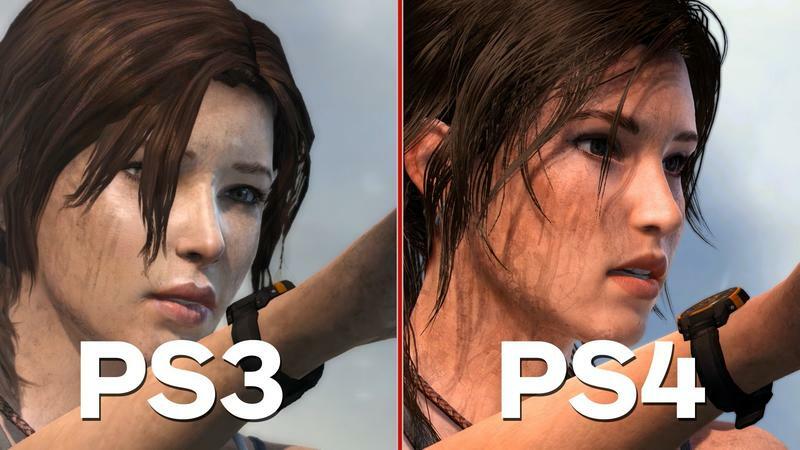 Until then, though, videos like this side-by-side comparison of Tomb Raider on PlayStation 3 and PlayStation 4 done by IGN gives us a good idea of what the new systems can do for last-gen games. The big difference with Tomb Raider is that the game wasn't built straddling the gap the way Assassin's Creed IV and Call of Duty: Ghosts were. It was built to serve one set of specifications. Now the team is taking the time to build out the preexisting game for the new consoles. From the interview segments in the video, it sounds like this is the team's way of experimenting with the new systems before they dive into a full game. I hope this results in a noticeably better product, rather than the hardly distinguishable differences we often see in these sorts of games. It just so happens they're experimenting with a very solid game and someone thought to sell it as a new product. High definition remakes of games became a staple of the previous generation of consoles. I wonder what we can expect to see this time around? Will we see last generation's games being re-sold to us with PC-resolution textures, or will developers continue to reach back into their libraries for older games to revive? Either way, I'm excited to check out Tomb Raider again. Even if it's the same ride, it was a really good one.